Catherine is a professional Psychic, a Reiki Master, a Bard, an esoteric Christian mystic, a student of the Universe and an enthusiastic teacher of what she knows. She uses palmistry, the I Ching, dowsing, intuitive readings and an assortment of other techniques to empower people with the information they need to make good choices and have their best and brightest lives. 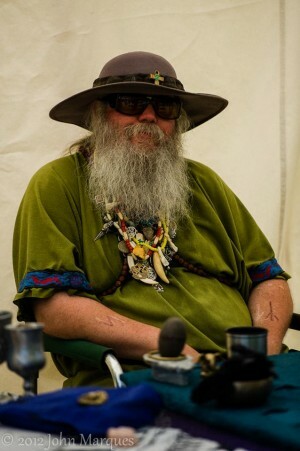 Starwolf (Sean) Witch, Shaman, Tarot Reader, Reiki Master, Run Valdyr Master, Starwolf Brings a Vast Knowledge of Subjects Both Esoteric and Exoteric to Any Problem. 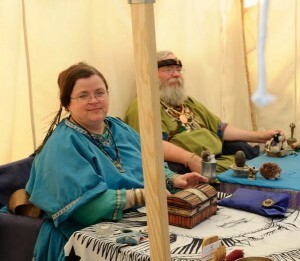 Catherine and Starwolf are based in Connecticut and can be found in events in New Jersey and throughout New England. Foresight gives 10 % of it’s profits to causes that make the world better. Find them at Foresight your Psychic and their blog Foresight Your CT Psychic. There you will find articles, links to where they will be and Cathy’s books, and much more! Also look for them at CTCW in workshops, panels and the Readers Room. This entry was posted in Wednesdays You tube and tagged Catherine Kane, Foresight, psychic, Sean Kane, Starwolf. If you missed the live show, here’s the link to the archive. Please join Tchipakkan and long time CTCW speaker Starwolf on the New Normal 8 pm Wednesday, July 19, 2017, 8-9 p.m. edt. It’s another podcast coming up for your education and entertainment! 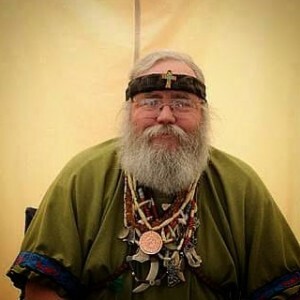 Wednesday night Starwolf will be talking with Tchipakkan on http://liveparanormal.com/ from 8-9 pm. ipakkan will be talking about the more metaphysical uses of the Runes. What is a bindrune? It’s when combine two or more runes often using the same long central line. The magickal properties of both/ all runes are still there. Why and how would you do this? Listen to learn more. Want to catch this interview, call in with your own questions? If you just want to listen, you can go to www.liveparanormal.com , click the “Listen Live and Chat” listing under the “radio-listen/chat room” heading, and click “LISTEN HERE” next to “the New Normal”. This entry was posted in Tuesdays New Normal announcements and tagged attack, bindrunes, charging, CTCW, Foresight, New Normal, Protection, rune magick, Runes, RunValdr, shaman, Starwolf. In this workshop people who’ve never dowsed before will successfully dowse using L-rods and pendulums, and experienced dowsers may pick up a new technique or two. This entry was posted in Saturdays Classes and tagged Dowsing, energy, finding, L Rods, Pendulums, Sean Kane, Starwolf, tool-less dowsing, Y rod. This entry was posted in Thursdays Speakers and tagged Crystals, divination, Foresight, healing, herbs, Magick, metaphysics, New Normal, Pagan, panel, Protection, psychic, Reiki master, Runes, RunValdr, shaman, speaker, Starwolf, warding, wisdom, Witch. E.D.C. or “every day carry” refers to a kit that is carried in pocket, purse, backpack, or briefcase and is avalible at all times. While usually this refers to a survival kit or escape kit, this principal can be applied to people in the spiritual/magical/metaphysical community. Starwolf will discuss how to create a kit that will “hopefully” fit your needs. If you already have a kit or have started one, bring it along to show off. Note we will NOT be discussing concealed carry firearms or the proper caliber of silver bullets. This entry was posted in Saturdays Classes and tagged blade, Crystals, Every day carry kit, herb, Magick, needs, Starwolf, workshop.